Finland shocked the world when its fifteen-year-olds scored highest on the first Programme for International Student Assessment (PISA), a set of tests touted for evaluating critical-thinking skills in math, science, and reading. That was in 2001; but even today, this tiny Nordic nation continues to amaze. How does Finnish education—with short school days, light homework loads, and little standardized testing—produce students who match the PISA scores of high-powered, stressed-out kids in Asia? 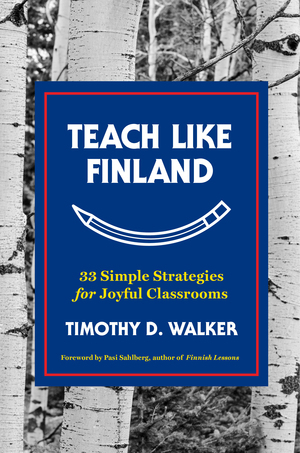 From incorporating brain breaks to offering a peaceful learning environment, this book pulls back the curtain on the joyful teaching practices of the world's most lauded school system. His message is simple but profound: these Finland-inspired strategies can be used in the U.S. and other countries. No educator—or parent of a school-aged child—will want to miss out on the message of joy and change conveyed in this book.